This butter based pastry dough is a recipe that’s popular in France. It’s slightly sweet flavor complements dessert pies and tarts. 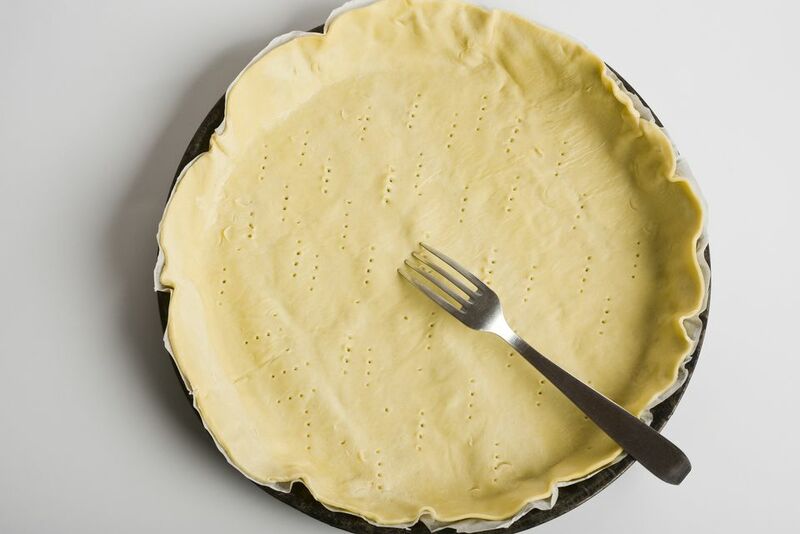 Cooks note: Quick and cold… The secret to flaky pastry is to handle it as little as possible. When mixing the wet ingredients into the dry, stop once it sticks together to form cohesive dough. Run your hands under cold water for a few minutes and pat dry before handling the dough. This prevents the dough from melting together and being “processed” by your body heat. For fast preparation: Put the dough in the freezer for 40-50 minutes before working with it. Makes enough dough for 1 single crust recipe.